Tel-Tron Technologies: Proudly Made in the USA | Silversphere, Inc.
← Training. Just Do It! So I’m sitting on my couch this Memorial Day and it occurs to me being “Made in the USA” means more than a label on the bottom of a toy, although even finding one of those is becoming less and less likely without really making an effort to make that choice. America’s rich tradition in manufacturing lives on at places like Holgate toys, Orb Audio and Tel-Tron Technologies. Now I’m obviously a little partial to things “Made in the USA”, I don’t own a foreign car and I do my best to buy products that are made here or at least have an investment in our nation’s success. I also get to choose where I work and what that says. I work for Tel-Tron for a lot of reasons; one of them is that it’s an American owned and operated company. I’ve worked for some pretty big technology companies in the past and the difference between an American owned company and foreign owned and operated company can be quite different when it comes to culture, decision making process and service. Even taking small parts of your business and moving them offshore can prove to be an alienating and frustrating experience for business partners and customers. Imagine that your new emergency call system is made by a company like ChinaCorp Healthcare Systems and you’ve been buying these systems for years, as a matter of fact you just put them in your new flagship community and proudly display your use of their product on your corporate website. As luck would have it three years ago the manufacturer of your emergency call systems, China Corp Healthcare Systems had problems meeting their government mandated margins so they stopped their once semi-rigorous testing process in order to push more product out the door faster. ChinaCorp Healthcare Systems makes lots of things; they also make defibrillators, thermometers and fluorescent light bulbs for the waiting room. As the emergency call systems are rushed off of the assembly line and boxed so that resources can be diverted to the outgoing defibrillators twenty customers were just shipped the liability of a lifetime. Nothing was tested, even though ChinaCorp Healthcare just started getting new memory chips from a new vendor. Nothing was tested, even though their plant flooded last month and hadn’t been inspected or recertified by any regulatory agency. Nothing was tested. Things seem to be going pretty well it’s been a few years and no one has noticed any problems with ChinaCorp Healthcare’s new emergency call systems. It’s Friday, because this sort of thing always happens on Friday, the phone rings and the IT administrator for your company calls and says there is a problem with the emergency call systems at your properties. It’s “just stopped working” and it seems to have happened at three or four communities at once, he thinks you’d better get down there. It’s the memory chip from the new vendor; it’s failed in fifty percent of systems. ChinaCorp found out about it last month, they’ve been working on a new source for the problematic memory chips; the old vendor is making hard drives now. They think they can have some replacements made in about four weeks and then there’s that six weeks to ship them here, by boat. No ChinaCorp Healthcare doesn’t have an Engineer that can come over and take a look, no they don’t care that you’re inconvenienced, no they can’t find a temporary solution, no they don’t care when you talk to their technical support representative in Malaysia and get the runaround instead of the truth about what is happening. As you contemplate the next ten weeks of operations, having to run your communities without emergency call systems it washes over you. You remember when this happened last year it was a similar problem with your computer, it was a bad memory chip, you called Dell and they were there on Saturday, new chip, computer working. I should have bought “Made in the USA”. Here’s a link to a pro manufacturing in China blog, even pro outsourcing advocates understand the risk and difficulty of manufacturing goods in China and ensuring the quality is acceptable. 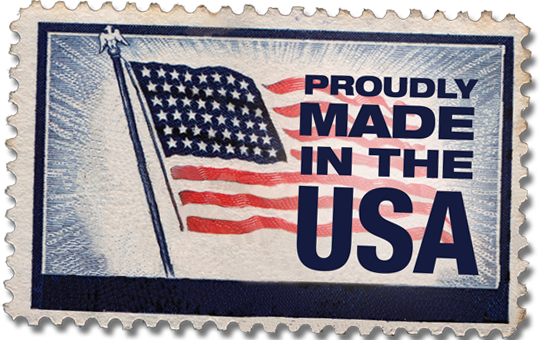 “Made in the USA” has always been synonymous with Made with Pride. Nothing has changed. 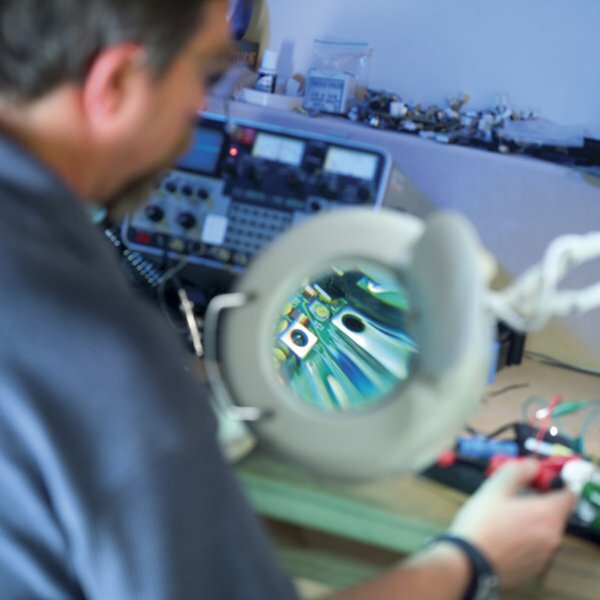 I see the rigor with which Tel-Tron employees ensure the quality and reliability of their products every day. It’s a level of dedication and loyalty that is hard to find. I’ve seen our company make mistakes, it’s what happens after the mistake that differs us from ChinaCorp Healthcare. We have integrity that doesn’t waiver. Every product is “Made in the USA” and because we take pride in that, it has to mean more than where the equipment is manufactured. Yes it’s manufactured here, yes it’s designed here, yes it’s supported here but so what, how does that make us any better than the next guy? It’s a matter of pride, ownership and commitment. It’s the ability to respond to an assembly line problem immediately, not weeks later. We walk through our manufacturing floor every day. We use the products that came off of the line every day. We hold ourselves accountable and take pride in what we produce every day. If you have ever bought an emergency call system from a company like ChinaCorp Healthcare then you have probably never met their CEO. Their executive staff is probably never in your buildings. The people that actually make the equipment that you count on to protect and even save lives is likely made by people that have no idea what the culture in your community is like, the pressure to never miss a call, the look of disappointment in the family members of those we have been entrusted to protect when their “widget” fails. Our manufacturing team understands the nature of our partnership; they have spent time in your communities. They understand that they are charged with manufacturing a product that they would trust to save their own mother’s life. I doubt that anyone at ChinaCorp Healthcare has a family member in your community. My grandmother passed away of natural causes in one of your communities, it had a Tel-Tron emergency call system. She used it often and without fail. My story isn’t unique. Over half of our senior management team has had a loved one under our joint care; in your community and using our emergency call system. We all sleep well every evening. We know that we’re right around the corner. We know that there are no lengths that we won’t endeavor to ensure that safety of or our charges. We take pride in what “Made in the USA” means and we ensure that pride is reflected in the quality of every product, installation and customer interaction. The last paragraph sums it up best.